Kavanaugh's judicial opinions have been 'restrained.' Will that continue on the Supreme Court? Analysis: Complete impartiality and objectivity is a noble goal for judges, but not a realistic one. How will Justice Brett Kavanaugh's judicial philosophy change as a result of the confirmation process? If the newly confirmed justice is asked that question, he will surely insist that his approach to cases remains free from influence of the allegations made against him. But can that be true? Complete impartiality and objectivity is a noble goal for judges, but not a realistic one. How will Justice Brett Kavanaugh impact the Supreme Court? Sometimes, personal experience for a judge can be considered a positive attribute. Justice Sonia Sotomayor famously spoke of the benefits of the Latina and female experience in judging, though it became a point of controversy at her confirmation hearings. Unsurprisingly, there's plenty of data suggesting that federal judges tend to vote along the party lines of the party of the president who appointed them. Academic studies and data suggest that judicial bias exists, and it is particularly evident in controversial social cases, such as civil rights. Will Kavanaugh be biased by his Senate confirmation process? Probably. But it might be difficult to point to any concrete evidence of that. But consider the precedent, and specifically Justice Clarence Thomas, who survived allegations of misconduct during his own confirmation, allegations he strongly denied. Harvard law professor Charles Fried told NPR in 2011 that Thomas spends time only with people who share his point of view, which isolates his thinking. He is not known for socializing at cocktail parties; instead, he and his wife travel the country in their RV. And, of course, he's known for rarely ever speaking or asking questions during oral argument at the court. Could this introverted behavior and judicial philosophy be a consequence of the Anita Hill experience? Possibly. Thomas had only been a judge for two years when he was nominated to the Supreme Court, and he was a young judge at that — in his early 40s. It's hard to say for certain whether his judicial philosophy was set pre-controversy, or whether it was a reaction to his confirmation experience. For his part, Kavanaugh has testified that he was wrongly accused of sexual and physical assault. This could have a subtle effect on how he approaches criminal cases. According to a SCOTUSBlog analysis, many of Kavanaugh's D.C. Court of Appeals rulings could be called "pro-defense." He tends to take an interest in sentencing issues; perhaps this would expand to an interest in wrongful conviction cases or long-shot appeals cases where prisoners claim ineffective assistance of their attorneys at trial. Or perhaps it will not be Kavanaugh’s ideology that will change, but rather his judicial tone. The SCOTUSBlog analysis points out that even in dissents, Kavanaugh wrote "respectfully and without ad hominem or vitriolic language." Back then, Kavanaugh perhaps was restrained because that's in his character. Or perhaps that restraint was part of his long-game audition for the next — and final — judgeship on the prestige ladder. He no longer needs to show such restraint; there will be no more job auditions after this one. There is no one left that he has to impress. Perhaps the polite tone in Kavanaugh's opinions will now evaporate because it is no longer necessary and his opinions will be an outlet for his resentment over the "calculated and orchestrated political hit" he believes he suffered. If so, his opinions may take on a not-so-subtle tone of his version of "search-and-destroy." 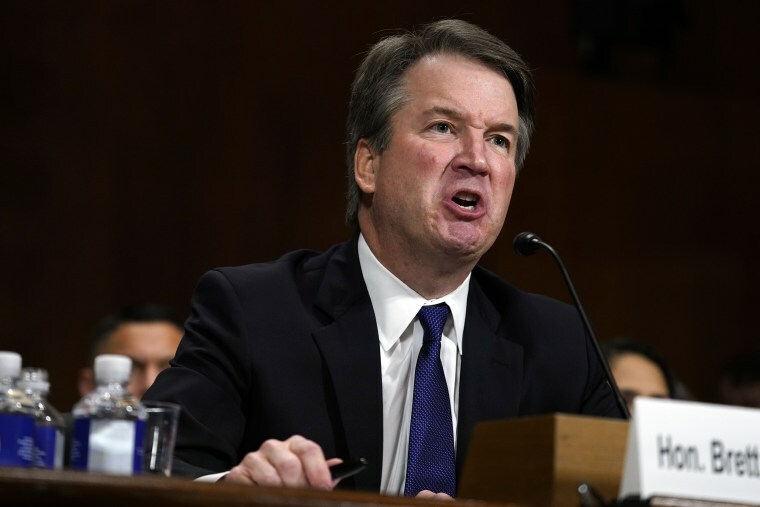 On the other hand, perhaps Kavanaugh's ideology will remain measured and largely dispassionate, and unaffected by the confirmation experience he called a "national disgrace."